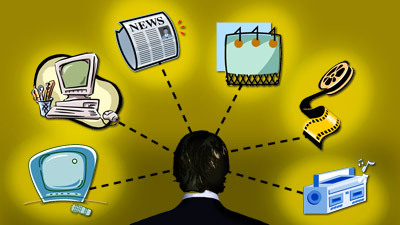 The Indian media and entertainment sector is one of the fastest growing industries in the country. The sector grew 11% to $20 billion in total revenue in financial year 2016, according to a report by FICCI and EY. It is expected to touch $35 billion by financial year 2021. Television broadcasting, distribution, film, print, radio, advertising and digital are some of the segments that drove growth. 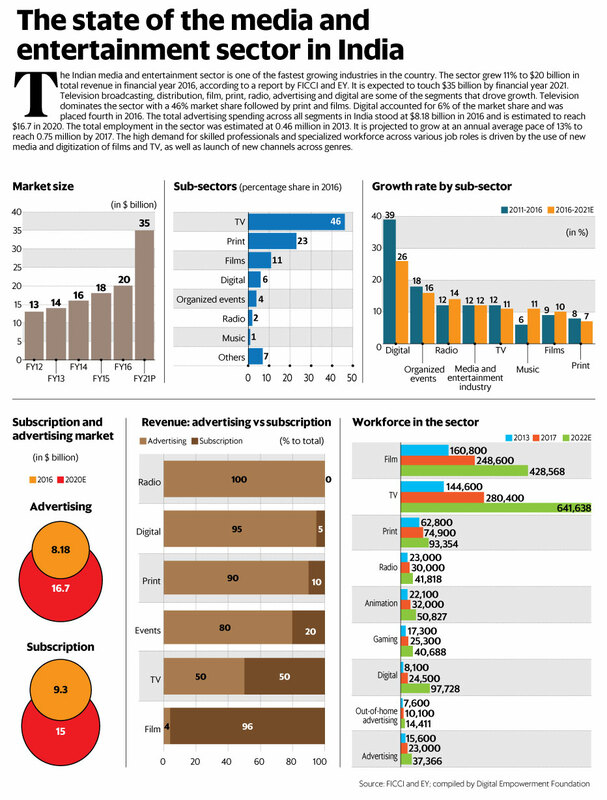 Television dominates the sector with a 46% market share followed by print and films. Digital accounted for 6% of the market share and was placed fourth in 2016. The total advertising spending across all segments in India stood at $8.18 billion in 2016 and is estimated to reach $16.7 in 2020. The total employment in the sector was estimated at 0.46 million in 2013. It is projected to grow at an annual average pace of 13% to reach 0.75 million by 2017. The high demand for skilled professionals and specialized workforce across various job roles is driven by the use of new media and digitization of films and TV, as well as launch of new channels across genres.